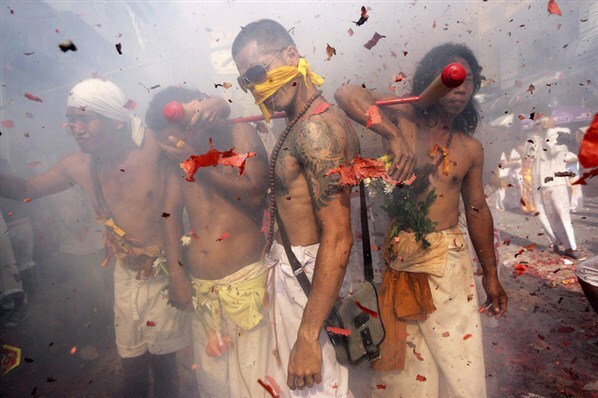 Devotees of the Bang Neow Chinese Shrine stand amidst exploding firecrackers as they take part in a procession in celebration of the vegetarian festival in Phuket. 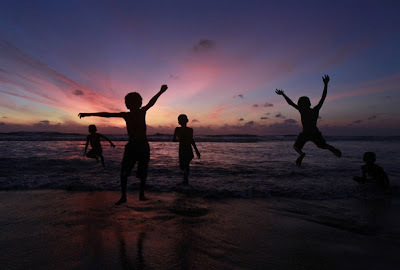 The festival celebrates the local Chinese community's belief that abstinence from meat and various stimulants, during the ninth lunar month of the Chinese calendar, will help them obtain good health and peace of mind. 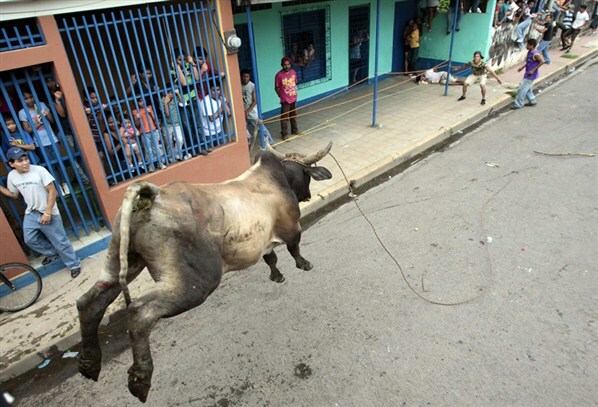 Revellers run away from a bull during festivities in honour of the patron saint of Masaya, San Jeronimo. The festivities for San Jeronimo last for three months and are considered the longest in Nicaragua. A woman, who taped her eyes and mouth, protests against a privacy law in downtown Rome. Wikipedia has disabled its Italian website in protest against a privacy law drafted by Silvio Berlusconi's government which will impose new restrictions on newspapers and internet pages and curb police wiretaps. Malaysians of Chinese descent walk on burning charcoals during the Chinese Nine Emperor Gods Festival in Kuala Lumpur. 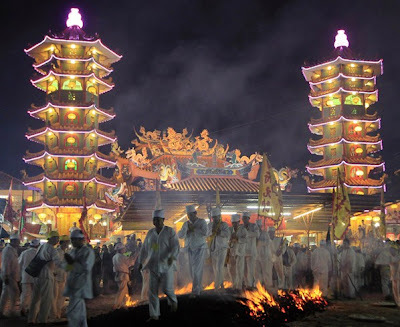 The Nine Emperor Gods Festival welcomes the emperor gods that live in the stars under the reign of Thien Hou or the Queen of Heaven who brings good fortune, longevity and good health. 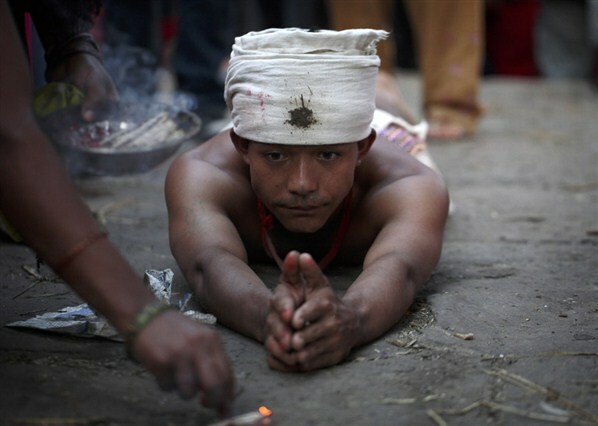 A devotee offers prayers by lying down at the premises of Bhramayani Temple during the tenth day of the Hindu festival Dasain in Bhaktapur. Hindus in Nepal sacrifice animals, worship the Goddess Durga and celebrate victory over evil during the festival as part of celebrations held throughout the country. 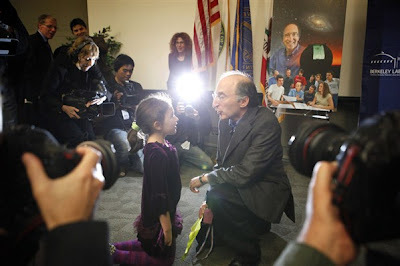 Nobel Prize winner Saul Perlmutter speaks with daughter, Noa, after a news conference at the Lawrence Berkeley National Laboratory in Berkeley, California. Three scientists shared the 2011 Nobel Prize for physics for the stunning discovery that the expansion of the universe is speeding up, meaning it may one day turn to ice. 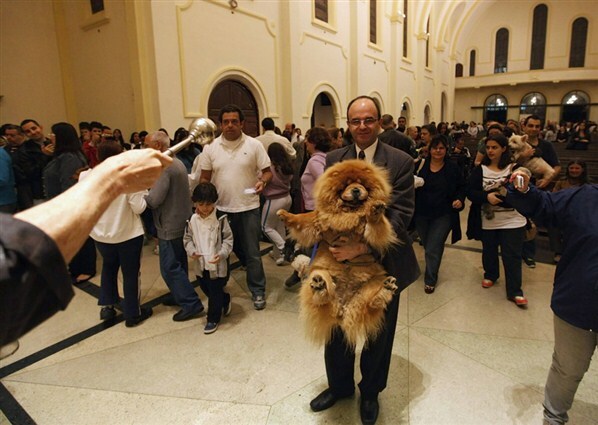 An owner holds his dog as a priest blesses the pet at Sao Francisco de Assis (Saint Francis of Assisi) Church in Sao Paulo. Pet owners bring their animals to be blessed every year on the day of Sao Francisco de Assis, Brazil's patron saint of animals. 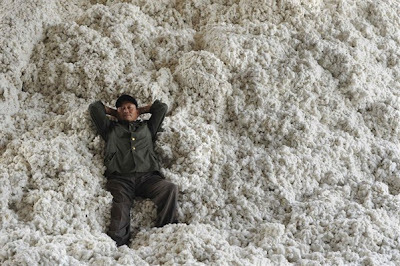 An Occupy Wall Street protester relaxes in a chair at the demonstrators' camp in Zuccotti Park, lower Manhattan in New York. The Occupy Wall Street protests moved into their third week on Monday. A media member paddles his boat at a flooded temple at Wat Chaiwatthanaram, a UNESCO World Heritage Site, in Ayutthaya province. 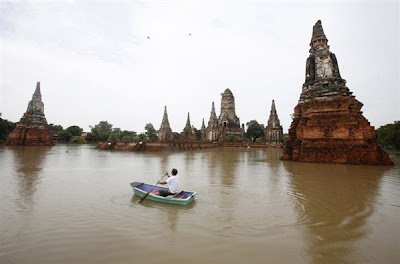 Thai temples in the World Heritage Site have been hit by massive floods which have killed 224 people and caused widespread damage since late July, Thai officials said on Tuesday. 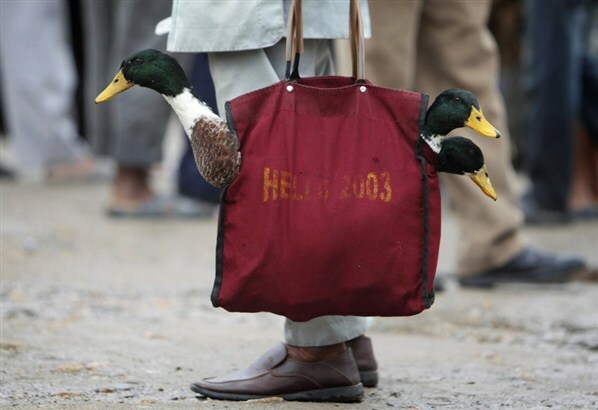 A man carries in a shopping bag ducks to be sacrificed at a livestock market in Kathmandu. The Hindu festival of Navaratri, also known as the Dasain festival, celebrates the triumph of good over evil. Hindus will also offer sacrificial animals during the festival. 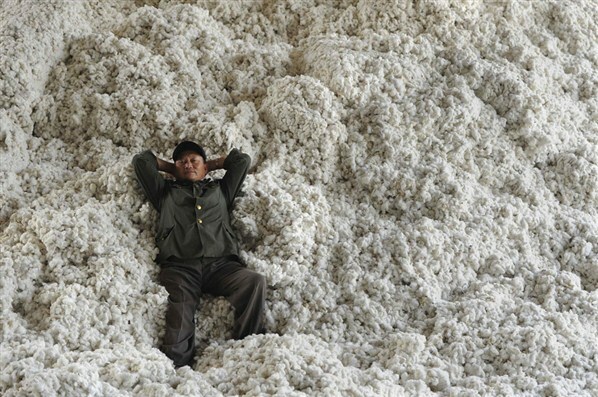 A worker lies on cotton as he rests at a cotton purchase station in Wuhu, Anhui province, China. Children play at the Mount Lavinia beach in Colombo. 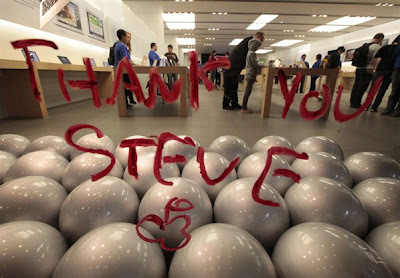 A tribute message to the late Steve Jobs written in lipstick is seen on the window of the Apple Store in Santa Monica, California. Apple Inc co-founder and former CEO Steve Jobs, counted among the greatest American CEOs of his generation, died on Wednesday at the age of 56, after a years-long and highly public battle with cancer and other health issues. A parma wallaby named Trinka in the nursery at the San Diego Zoo is bottle fed by senior keeper Janet Hawes. 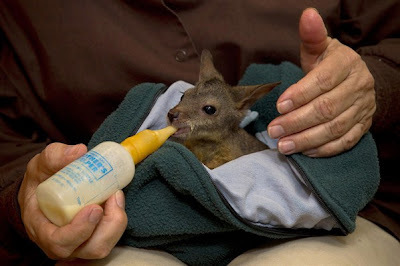 This is one of four feedings the baby, called a joey, receives each day. The joey has been cared for by keepers and vets since she was found out of her mother's pouch in July. Children trapped on a ferris wheel are seen after an ultra-light plane crashed into it at a fair near Taree, Australia. 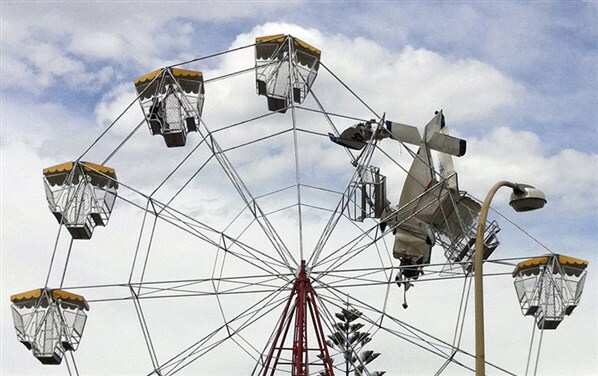 Four people were trapped on the ferris wheel after the accident.